Exciting News From Big Finish - The War Doctor and Leela! 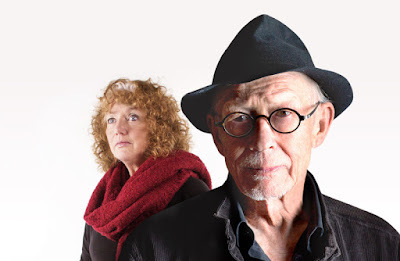 Announced live on stage at Big Finish Day 8, the fourth box set in The War Doctor saga will see Louise Jameson's classic companion Leela reunite with the War Doctor (John Hurt), as the horrors of the Time War come ever closer to home. Louise has previously reprised her role in multiple Doctor Who releases, starring opposite Tom Baker in three series of The Fourth Doctor Adventures and with fellow companion Lalla Ward in the popular spin-off series Gallifrey. The War Doctor's first Big Finish appearance in Doctor Who – The War Doctor 1: Only the Monstrous can be downloaded today from the Big Finish website and is on general release in March. The saga continues from Big Finish in February with Doctor Who – The War Doctor 2: Infernal Devices, followed by Doctor Who – The War Doctor 3: Agents of Chaos in September. The entire War Doctor saga can be ordered together in a special bundle which includes the five-disc prequel box-set Doctor Who: The Eight Doctor – The Time War. And remember, when you choose to buy this release on CD directly from Big Finish, you will also unlock instant access to a digital copy for download!